One of the many cool things about a lime-colored rug is that its color is anything but the same old beiges and browns you might be used to. With its lovely green hue, this college dorm rug will truly be the centerpiece of your dorm room; even in its smallest size, this dorm room rug will be quite noticeable given how small dorm rooms are! But that’s just fine; you’ll want friends and visitors to notice that stylin’ lime color and trendy striped pattern. A cheap rug truly brings more than just carpeting to your dorm room floors. It brings character to your whole dorm room! Rugs for college are essential dorm items if you want to make that dorm room yours. Nearly all your friends and fellow students will be loading their walls up with dorm wall decor … but what about dorm floor decor? Rugs are, of course, something nice and soft to step on, but they also provide dorm decor, and in this case dorm floor decor! Some dorm rooms already have carpeted floors, carpets that are probably filled with crumbs, hair, and whatever other lovely particles tenants through the years have left behind. So go with an option on the sanitary and colorful side. 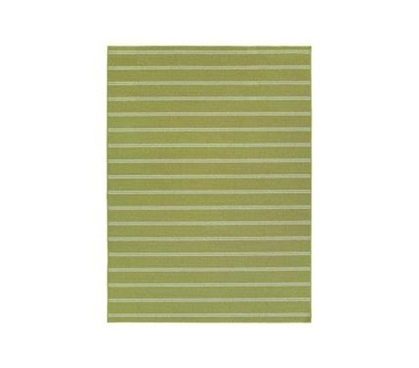 Grab this Classic Stripes College Rug - Lime and treat your feet—and your eyes—right.